Get ready for the next Vera Bradley promotion - the Card Keeper! Check out the postcards below. This carefree collection features sun-and-fun worthy canvas with off-white piping and colorful floral accents. Created to coordinate perfectly with the new Spring 2011 Signature Collection colors, all three styles are available in Clementine, Indigo, Periwinkle and Sand. 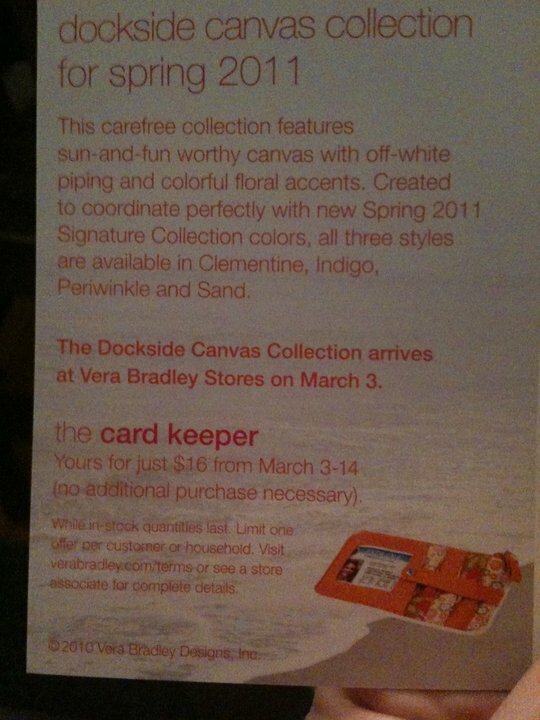 The Dockside Canvas Collection arrives at Vera Bradley Stores on March 3. The Card Keeper – Yours for just $16 from March 3-14 (no additional purchase necessary). The fine print: While in stock quantities last. 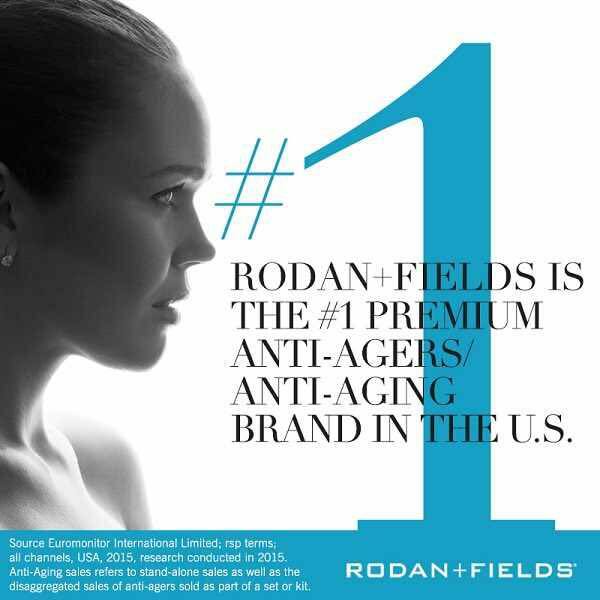 Limit one offer per customer or household. Visit verabradley.com/terms or see a store associate for complete details. 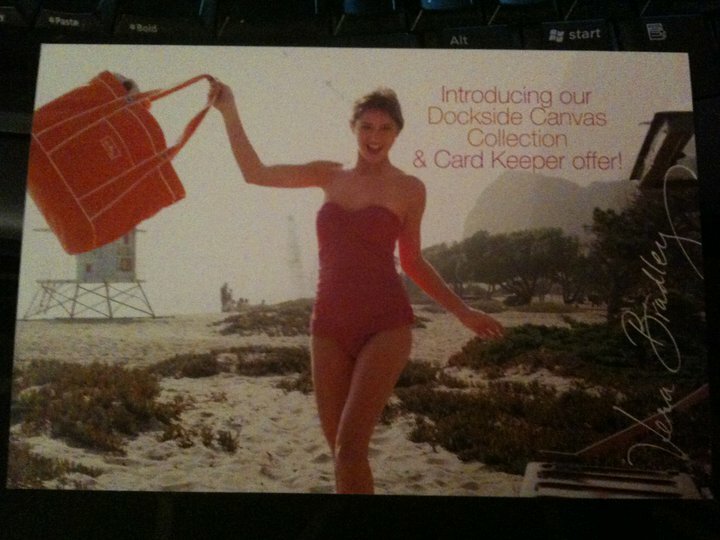 Thanks to one of my Vera friends for sharing the postcard since I didnt receive one!